Full size mobile casino gambling tables and equipment available for hire for your fund-raising evenings, theme nights, poker nights or poker tournaments, private parties or corporate functions and events. Let us bring our international expertise to your special occasion leaving you and your guests feeling like "high rollers"
We can provide authentic, full-size casino gaming tables including Roulette, Pacific Poker, Craps, Blackjack and Texas Hold'ems Poker to your venue - be it an office, your home, function room or even a marquee - along with real croupiers (dealers), chips and cards. 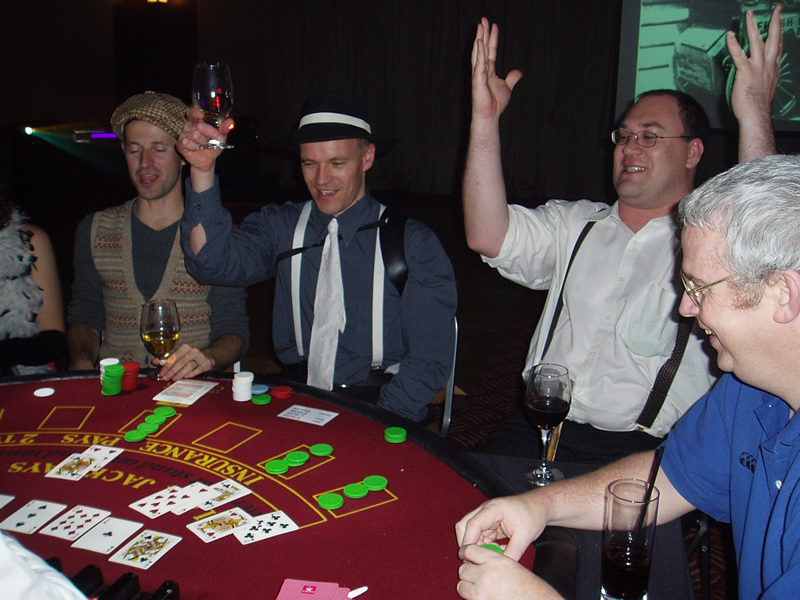 They can give you lessons in each gambling game and get your party rocking with fun and laughter. Fun money is distributed to everyone, which can then be exchanged for the chips. Following a brief overview and orientation, you can have a tournament where the person with the most chips after the session is deemed the champion.